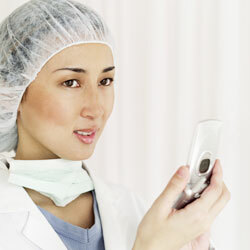 Does voice recognition software threaten the medical transcription industry? What will happen in the future? Is your job or future as a safe? The short answer is yes, your job is safe. Voice recognition technology and software has taken the world by storm. A mere decade ago, voice recognition software and technology was limited to space programs or for use in activating and controlling wheelchairs, media systems, and even vehicles by those disabled or handicapped by medical conditions. Today, voice recognition technology is available to users "off-the-shelf", and is available in most laptop and desktop computers. What exactly is voice recognition technology? Voice recognition allows you to literally speak to your computer through a headset. Your computer then converts your voice or speech into text. Your computer converts your words into text and types it into a Word document, an e-mail program, or other compatible format. Speech or voice recognition technology software can be "trained" to recognize the way you speak, i.e. your speech patterns or the sound, timbre of your voice, and speech cadence. 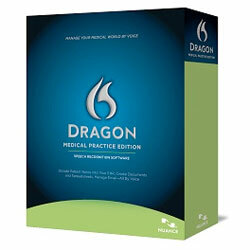 What does this have to do with medical transcription? In a nutshell, doctors can now dictate directly into their own computer systems, iPads or computer-based media files. Does this mean that your job as a medical transcriptionist is in danger of extinction? Not necessarily. While voice recognition technology and software today is increasingly accurate, nothing can substitute human interaction and control with computers. How many doctors have you ever worked with have the time (or the patience) to carefully format a medical record or document that meets standardized procedures? Doctors often find the act of dictating their reports time-consuming enough as it is, and don't have the time to then proofread, edit, and format their dictation reports into a transcribed record that is free of errors and ready to file into either a manual or electronic medical record. In that sense, your job, and your future, is safe. By continually learning and educating yourself regarding speech recognition transcription and editing, you can protect your future as a medical transcriptionist. The more you increase your speech recognition editing skills, the more you enhance your job security. While speech recognition technology makes the doctor's job easier, the demand for editing skills when using such documents has increased dramatically. Understanding the importance of continually improving your speech recognition editing skills will help you stay employed as well as remain competitive in today's advancing marketplace. It's one thing to dictate a report into a document through speech recognition software. It's something else for knowledgeable, human and experienced eyes to review and correct errors found in such medical documents. Some of the most common errors found in speech recognition documentation include misspelling of words that sound alike, inability of the speech recognition program to correctly understand what the doctor has said (resulting in incorrect words or phrases that just don't make sense), as well as missing words. Speech recognition programs are increasingly accurate, but one aspect of speech recognition software that has not yet been mastered is errors in drug names. The capability of speech or voice recognition software to understand odd-sounding words, terms, drug names, and phrases is still rather limited, despite advances made in software. As we said above, the simple answer is yes. Industry professionals realize that speech recognition technology is a very effective and productive tool in the medical industry, but one that doesn't require human judgment and intervention. As a medical transcriptionist, take charge of your future and adapt to changes in technology. Doing so will help you remain competitive and viable. Remember that while speech recognition technology may help a doctor document more quickly, enhanced accuracy does not necessarily go hand-in-hand. A doctor with an accent, a different way of phrasing things, or one who mumbles or speaks too quickly is likely to produce a dictation report that needs quite a bit of editing. That's where you come in. Your future as a medical transcriptionist relies on your ability to understand the combination of speech recognition technology and implications of that technology in the use of electronic health records. Whether you work at home for a small doctor's group, or in a major, busy hospital, the fact is that humans will always need to oversee, correct and format most voice recognition software computer-generated documents. The American Healthcare Documentation Professionals Group is one of many sources of continuing education and speech recognition editing courses and refreshers that will help you stay on track with your career goals. Many medical transcriptionists in the recent past were worried that the introduction of electronic health records or medical records would also endanger their jobs. However, electronic records have not changed the demand and need for medical transcriptionists to transcribe reports. In the "old" days, medical transcription was dictated on the tape recorders, and then transcribed by professionals on typewriters. Then came computers. Now, we have digital formats, the Internet, MP3 files, sharing between iPads and computer-based programs, and more. While such technology enables doctors to use voice recognition software to create a medical report draft, those drafts must be properly edited and formatted. Error-free reports are still in the hands of medical transcriptionists. Medical transcriptionists still have to listen to digitally dictated reports and edit them to make sure that speech recognition technology is working accurately. Your job as a medical transcriptionist is safe. Secure your career and job security by keeping up with updates and technology in the field. Related: do you know all the equipment used by medical transcriptionists?